The advancement of surgery into the digital and computer-assisted era has generated a new amalgamation of known anesthetic challenges. 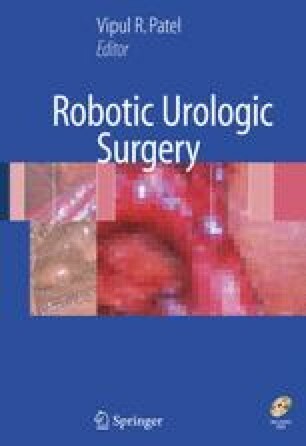 This chapter is designed to provide both surgeons and anesthesiologists with a quick reference, guiding optimal peri-operative care in patients receiving robotic urologic surgery. In addition, information critical to ensuring patient safety when utilizing computer-assisted surgical techniques is discussed.